This Friday is the Sk8 Deck show at Terminal 22 Gallery! 2443 Telegraph Ave at 25th Street, Oakland. 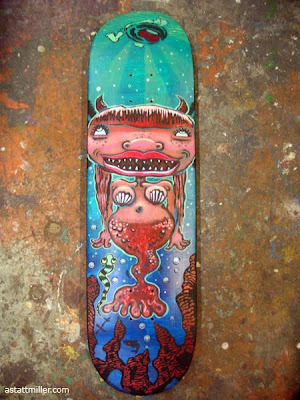 The SK8 Deck show is September 4th (during "First Friday") from 6-9 ...see you there !